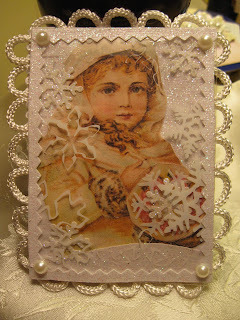 Blissful ATC Swap..... Theme White/Snow......Trip cancelled due to bad weather!! on top of the layers. flat back pearls for each corner.